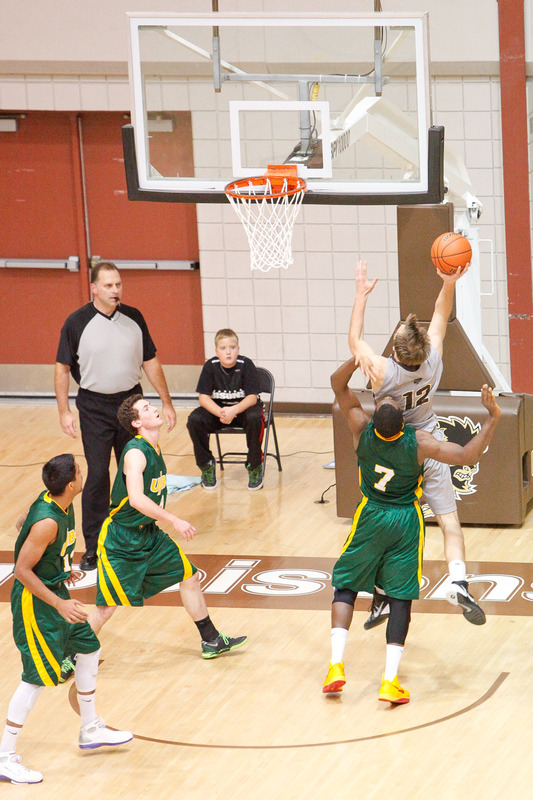 The Manitoba Bison basketball teams had a successful start to the 2013-14 Canada West conference season, as they took three out of four games at Investors Group Athletic Centre. 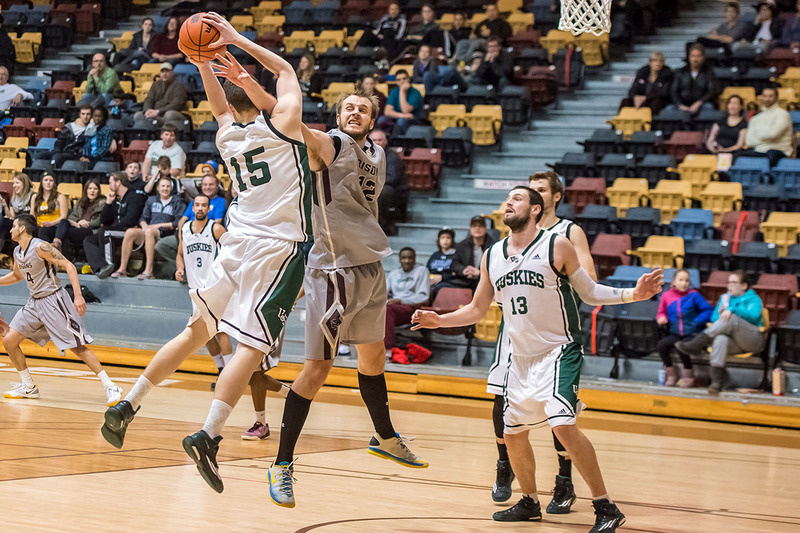 The men suffered the only loss of the weekend, falling 77-71 Friday night against the UNBC Timberwolves. The Timberwolves dictated the tempo early, going 10-for-15 in the first quarter. UNBC led by six heading into the second. Despite some turnover trouble, Manitoba was able to fight back. Led by first-year players Andre Arruda and Justus Alleyn, the Bisons took a brief 30-29 lead. UNBC would not back down, however, retaking the lead and heading into the break up 37-32. Manitoba opened up the second half on fire, going on a 13-2 run, and led 51-49 by the start of the fourth. The Bisons were unable to sustain the lead, as UNBC broke away in the final five minutes of the fourth and held on for the victory. Charles Barton of the Timberwolves led all scorers with 20 points. The men’s team found a better result the following evening, pulling off an 83-78 win over the Mount Royal Cougars. Manitoba took the momentum early, going 6-for-14 from the floor, and opening up a 16-9 first-quarter lead. After a sluggish start to the second frame, Mount Royal managed to find a groove and evened the score at 20-20. That seemed to wake Manitoba up, as they went on a 10-3 run towards the middle of the second, and finished the half up 37-27. Amarjit Basi led all scorers in the first half with 14 points, shooting 5-for-8 for Manitoba. The Bisons pushed their lead to as much as 18 points. Third-year guard Mike Holloway certainly contributed to the Bisons’ success, as his play provided tons of energy for the team. Mount Royal stayed determined and stuck to long-range opportunities to stay in the game. James Lefebvre netted two key triples for the Cougars, which shrunk the lead to 10. Things got interesting in the fourth quarter as Mount Royal cut the difference to one. The score sat at 71-70 with 4:20 remaining. Yigit Ozsayiner nailed five of his six free throws on the night in the final five minutes as Manitoba held onto their first win of the season, 83-78. The Bisons (1-1) will take to the road for games on Nov. 8 and 9 against the Lethbridge Pronghorns. In women’s action, the Bisons started off the season strong, with a 73-69 victory over the UNBC Timberwolves on Friday night at Investors Group Athletic Centre. Manitoba trailed for most of the first quarter, but took a 22-18 lead after going on an 11-3 run late in the opening frame. Robyn Eyer, who had a great weekend from beyond the arc, hit back-to-back threes in the second, as Manitoba took the 40-31 halftime lead. The Bisons kept the pace going in the second half. UNBC never regained the lead as Manitoba clinched a 73-69 win. Allison Balasko led Manitoba with 16 points, and Emily Kaehn of UNBC led all scorers with 22 points. The following night, Manitoba dominated the Mount Royal Cougars 73-48. It was a slow start for the Bisons, as early turnovers proved costly. Mount Royal headed into the second frame with a one-point lead. Manitoba picked things up in the second quarter, taking the 35-28 halftime lead. The Bisons out-rebounded the Cougars by a total of 23-14 in the first half. Manitoba took over in the third quarter. Robyn Eyer’s game-high 17 points included three triples, and helped increase the Bison lead to 16. The home team was an electric 10-for-17 from the field in the third quarter, and led by 21 points heading into the final frame. Mount Royal attempted something of a comeback in the fourth quarter, but it was not enough, as the Bisons rolled to 2-0 with the 73-48 victory. Co-head coach Michele Hynes commented on the success her team had beyond the arc. “We got really good defensive stops, which allowed us a lot of space in transition and we hit those threes because we were in the right rhythm,” said Hynes post-game. The women will also head to Lethbridge this weekend to take on the Pronghorns, with games on Friday and Saturday.